So every year, I pack my little backpack and head off to Donington race course where Download Festival is held, and seeing as we're fast approaching festival season, I felt this might be of some use to some of you! This year with be my 4th year at Download and I think I've finally got "thee festival beauty bag" down to a tee. Here goes! magic ink eyeliner, erase paste concealer, porefessional primer, girl meets pearl highlighter, you rebel tinted moisturiser, bad gal lash, powda wowza bronzer & blusher: all benefit & mac lipstick in rebel. Hygiene: Hygiene wise I'd say baby wipes and face wipes are your best pal throughout all of this. I can't use baby wipes as the smell makes me sick (even the non fragranced ones!) but I use make up wipes like they're going out of fashion. If there's no showers about, the last thing you want is to smell horrible in a warm tent, and whatever you do, do not forget deodorant! It has happened, so don't let it be you! I always pack dry shampoo as it's my utter saving grace when my hair is flat and greasy (yum) and now that clever "dry backcombing" sprays exist, you'd barely need a hairbrush... although I would definitely advise that you take one! Always remember to take a razor too, the last thing you need on a hot sunny day is a hoodie on because of an armpit situation. Berrocca or other revitalising vitamin-y things are recommended too, if you've been drinking but want to be up and out early, one of these will ease your head! There's also the obvious like a toothbrush and toothpaste. Boots sell mini toothpastes for like 49p and it's all you'll need! Not pictured, but still useful: suncream, (if the weather ever cheers up, at this rate we'll be knee deep in snow come June) grab a little bottle or even some sachets. A water bottle, it's useful to have one when it comes to teeth brushing and hand washing. HAND SANITIZER, I don't know how I forgot to picture this. Oh my god, take a litre of the stuff. Honestly, your actual holy grail item at any festival. I always recommend wearing dark nail polish too. It was a tip given to me by James' older sister, and it has faired me well! I'll probably wear Topshop's Cloak and Dagger which is a jet black. It means you can't see anything horrible under your nails, out of sight, out of mind.. right? I hope at least one of you found this useful! I'm going to do a clothes and other things to pack post a little later on too, so give me a shout if you think of anything. 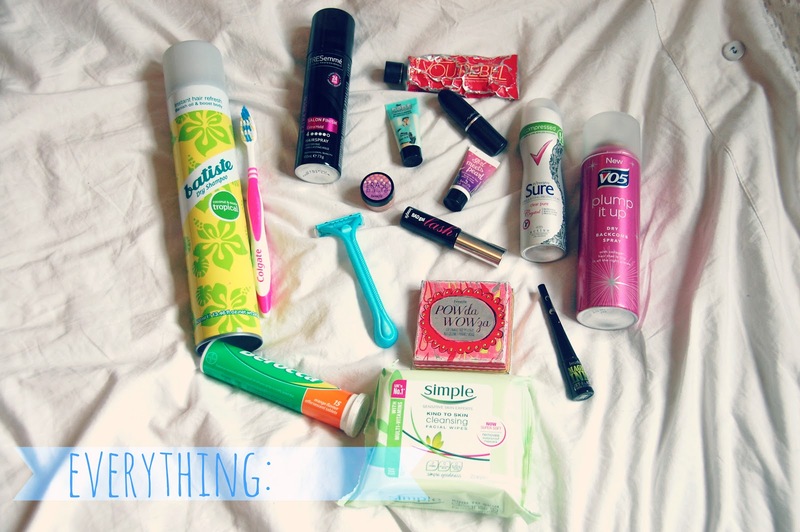 vote for me here under "personal style blog"
Batiste, hand sanitiser and face wipes are festival essentials! Loved this post... have fun at Download! 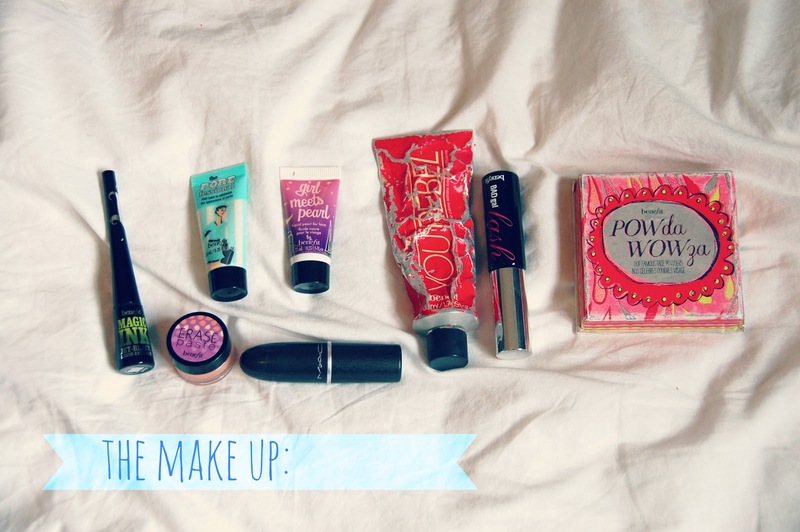 Good essentials, dry shampoo and sunblock are musts for me!